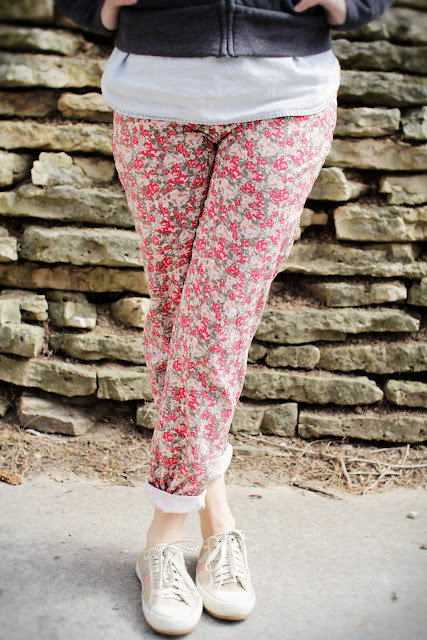 I love the look of floral pants (love these ... oh, and these!) and though I bought this pair a year ago, the garden inspired printed pant seems even more popular this season. So I guess I'm now finally (ever-so-slightly) cool when it comes to the cheery leg trend, though I'm sure that no one in GB will think so. :) It's okay though ... I've got you! so cute! nice and springy! !